If you have decided that you want to study a law degree, your next step is choosing between law universities and law degree courses. When choosing which university and which law degree, there are a number of other factors you may want to include in the decision making process. This page will detail all aspects of choosing a university and a law degree. Which Law Universities and Law Degrees are Available? There are hundreds of law universities in the UK offering undergraduate law degree courses, but each university and course is different. Some law degree courses are in the form of an LLB, whilst others are in the form of a BA Diploma. 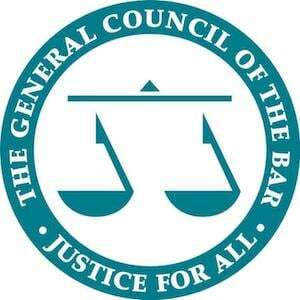 If you are thinking about pursuing a career in law it is arguably better to complete an LLB law degree as these tend to be ‘qualifying law degrees.’ This means you can go on to immediately study the LPC (should you wish to pursue the career of a solicitor) or the BPTC (should you wish to pursue the career of a barrister), otherwise you will have to complete a law conversion course (such as the GDL) before you can move on to these courses. Most law degree courses run for three years but some have the option to do an additional year studying a foreign legal system, giving you the chance to study abroad for a year. There is also the option of studying law as part of a combined degree, for example a Politics, Philosophy and Law LLB. To choose the course that is right for you, think about how beneficial it might be for your future career. If you are interested in working internationally, studying a course that allows you to live abroad for a year, learning about a foreign legal system and developing your language skills is really beneficial. To explore a detailed list of the law degree courses the different law universities provide, take a look at our Uni by Uni page. This page provides insight into the various law degree courses on offer, how highly regarded each university’s law faculty is, and lots of other factors that may influence your decision. There are plenty of reasons that may impact your decision, but it is an important factor to think about. Going to university in a big, busy city like London, for example will be a very different experience to studying in a smaller city like Durham. The facilities available at the university is another determining factor. Some universities really encourage team sports, and have their own sports fields and gyms on campus, whilst others have more limited facilities situated outside of the main university base. If you are interested in drama, a lot of universities are proud of their theatres and university productions – so you might want to look into the extra-curricular facilities you will have access to. Remember, you are going to be living at university for three years or more, so you shouldn’t rush into your decision! Every law university accepts a different number of students to their undergraduate law degree course and each law faculty varies in size. This may be a factor for you to think about when choosing a university – you might prefer a busy course with lots of students, or smaller classes. It’s important to consider which will make you feel the most comfortable. Campus universities have their buildings, lecture halls, faculties, libraries and student accommodation all in one area. This can encourage a real student community atmosphere. Universities that do not have a strict campus layout tend to be more spread out over a town or a city. For example, many universities in central London consist of a number of buildings and faculties within walking distance of each other, but the university buildings are spaced out amongst other London university facilities, shops, restaurants and more. This may leave less of a student atmosphere, but will enable you to have more of an independent experience of the city outside of university life. There are pros and cons to each style of university, so we suggest visiting each university on an open day to get a feel for which you might prefer. The content of the syllabus is a crucial factor in choosing a university. The modules included in the syllabus of each law degree course can be found on the university websites. Most courses require you to select some of your modules, so it is crucial to think about which universities offer modules that you would be interested in studying. It is important to think about the areas of law you might want to practise in if you qualify as a lawyer, because selecting these modules will be very beneficial. Of course, the quality of lecturers and teaching facilities vary for each university too, so you might want to have a look at university league tables and rankings to determine which university is going to give you, personally, the best educational experience. As mentioned in our Undergraduate LLB Law Degree Overview page, entry requirements for studying law at university are high and it is not uncommon for universities to require AAA at A-Level. Law is a very in-demand degree as well as being very academically challenging. You should be sure to check each individual university’s application pages to see whether your predicted results are likely to get you a place at your desired university. You may also want to consider having back-up options should you not quite achieve your predicted grades!